DJ's Book Corner: A life where unaccountability means there's still hope. IMPERVIOUS by @hletto2 and a GIVEAWAY! A life where unaccountability means there's still hope. 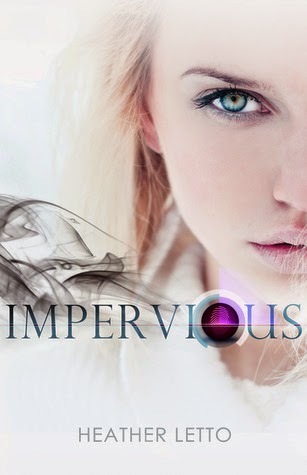 IMPERVIOUS by @hletto2 and a GIVEAWAY! The residents of Impervious are the remnant, the survivors of the war of Annihilation. And though the city is chockfull of pleasures to tantalize and entertain, a beast lurks in the corners, haunting the residents with its presence. The Beast, a mysterious and terminal illness killed off most of Generations One, Two, and Three. And as Gen-Four prepares to take the stage, a provocative, yet questionable, new method to avoid an untimely death incites a cultural rage. But Fran lives counter-culture, off the grid in true rebel fashion. With a life far from opulent, she scurries through dark tunnels, searching for hot meals with Pete while ditching the holographic security team. To her, it's a healthy trade-off. Unaccountability means The Council can't steal her sliver of hope, a belief that she'll see The Epoch arrive before The Beast can pull her into its Fetid embrace. In just one word, how would you sum up our main character, Fran? Ruth: “My joy.” Tears glisten. There you have it… the many marks Fran has left on her world. 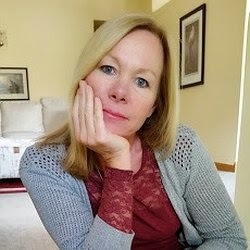 Read her story to find out which character you agree with! The Ascension Series is my debut into the world of YA fiction. I’m living what I love and loving what I live! You're welcome, and thank you! !